Not so long ago some friends in Paris asked us to do a spot of house-sitting in Paris while they were in Spain for five weeks, July through August. A tough challenge I grant you, but we agreed to step up to the plate – these are long standing friends you understand. Almost all the occupants of their entire building would be away as well as their guardienne (care taker) for part of the month. So we would be there to hold the fort. And that is how we spent a fabulous time in Paris, which was remarkably quiet and peaceful, despite being the fifth largest capital in Europe with a population of 2.2 million people. A BBC report in 2012 (by Joanna Robertson) estimated that the population of the capital literally halves in August. If you are fortunate enough to have spent any leisure time in Paris – let alone house-sitting in Paris with no accommodation costs asked of you! 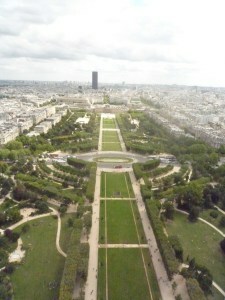 – you will no doubt have your own favourite spot from which to view the City of Light. With my family it tends to be the rather cliche Eiffel Tower but we never tire of it. And we like to view it from every perspective. Breathtaking at any time of year, with so much for the eye to take in that it is hard to exhaust that horizon for all there is to see La Tour Eiffel is our favourite. I justify the costs of each trip up the tower by reminding myself that our accommodation is free because we are house-sitting in Paris. 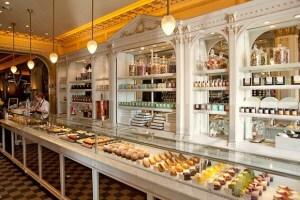 House-sitting in Paris for the cake! 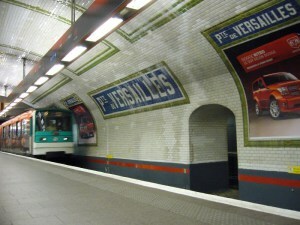 When house-sitting in Paris one is fortunate that the Metro gives access to almost any where you want to go – even in August when the much of the city takes on the guise of a sleepy village in the provinces – one can still travel easily and efficiently all over the place. 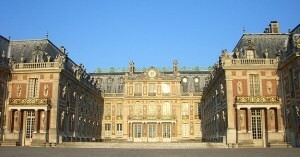 A trip to Versailles in August from the northern centre of the city took only 45 minutes. 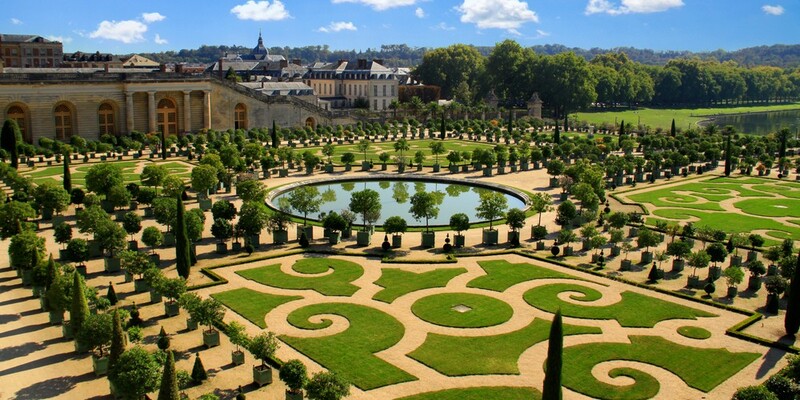 On this particular visit with very few visitors to contend with, we found that while the inside of the Palais de Versailles was closed to us (it was August after all) there were enough grounds staff to supervise a visit to the gardens. And so we spent a fantastic day discovering the immense grounds of this extraordinary scene, which seemed somehow impervious to the ravages of time, and remarkably untouched by either revolution or the recent global financial disasters. 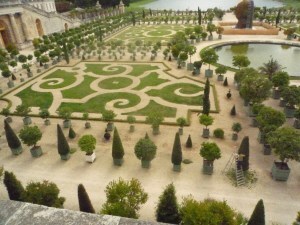 After touring the network of lakes, the Trianon, the miles of avenues of trees oak, cypress, amongst many other varieties, we returned to look at the intricate parterre. The gardens were at once splendid, and incredibly intricate. 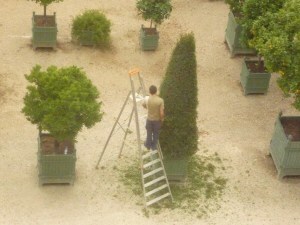 Closer inspection showed exactly how manicured each and every shrub and tree really was, as the groundsmen hand sheared all the angled topiary. This is one way to sustain employment in a growing population during a recession. It was a fun visit and the house-sitting in Paris was a real experience, a feast for both eyes and palate, enlightening and easy on the pocket because of our stint as house-sitters. We didn’t have to pay for any accommodation, despite staying in the centre of one of the most expensive capitals in the world. Our friends were happy because we could take care of things for them in their absence. And we were happy because we could run around Paris in the quiet of August being tourists. It was a real quid pro quo. House-sitting in Paris for us was a classic example of what they call collaborative consumption..! Lamia Walker is the founder of HouseSitMatch.com.